The public is invited to view an exhibition of some of the most innovative design work by students of Aalto University in Finland and CPUT students. Cape Town took over from Helsinki as World Design Capital in 2014 and the relationship resulted in an on-going collaboration between Aalto and CPUT that is expected to flourish for years to come. 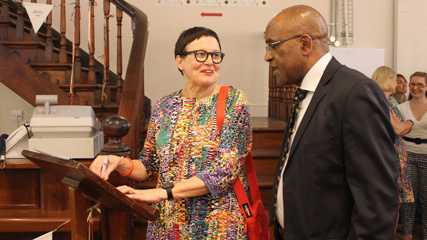 The exhibition, Shaping a Shared World, was launched at the District Six Homecoming Centre in the city centre yesterday evening and was attended by students and staff from both institutions as well as the Finnish ambassador. A photography exhibition entitled Me/We by a duo of Finnish and Soweto photographers is also on display at the same time. The Shaping a Shared World exhibition is a collection of student work that demonstrate positive change through design and symbolizes Helsinki’s world design tagline of Embedding Design in Life and Cape Town’s Live Design Change Lives slogan. 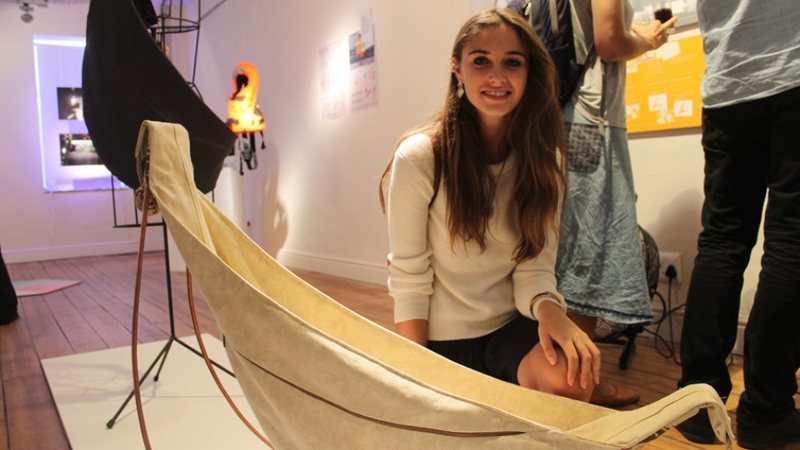 One of the works on display is former CPUT B-Tech student Chanel Oosthuizen’s Knus baby hammock that was designed and created in conjunction with the Cape Town Society for the Blind. The hammock is currently nominated for the ‘Most Beautiful Object’ prize at the Design Indaba expo happening later this week. The event also saw CPUT Vice Chancellor Dr Prins Nevhutalu sign a memorandum of understanding with Aalto University that formalizes the institutions’ partnership. Visit the Shaping a Shared World exhibition at the D6 Homecoming Centre on the corner of Buitenkant and Caledon streets from today to March 15. BIG IDEAS: Chanel Oosthuizen’s Knus baby hammock is one of the design’s on display at the exhibition.